On Wednesday, May 9, the RWB had the absolute pleasure of hosting The Amazing Race Canada. Contestants came to our studios to don ballet attire and learn choreography from the beloved Swan Lake. With the help of our RWB School Aspirants, ballet masters, and RWB School Professional Division staff, contestants rehearsed the repertoire until they were confident to perform in front of an audience and the judge: RWB Artistic Director and CEO André Lewis. From there, contestants continued the challenge in other familiar Winnipeg destinations, such as Toad Hall Toys in the Exchange District. The Winnipeg Amazing Race Canada episode aired on Tuesday, August 14. Watch the episode here and read about the Amazing Race’s visit to Winnipeg here. 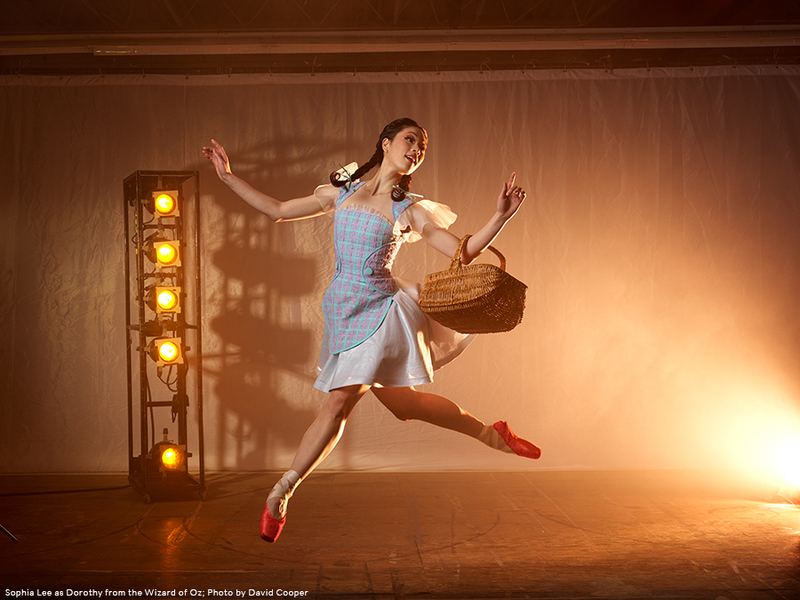 From October 10 – January 25, the Royal Winnipeg Ballet School Professional Division will hold auditions across Canada and into the U.S. in search of new talent. 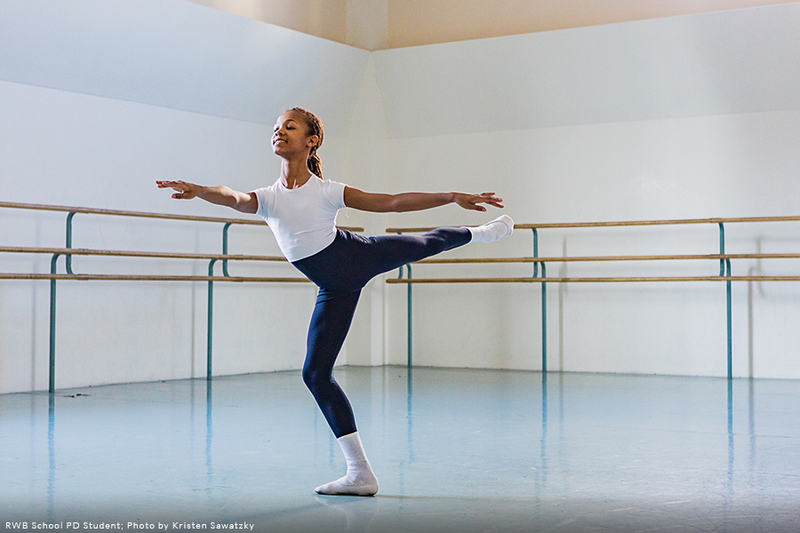 Auditions are the first step for students hoping to join one of the RWB School’s three full-time professional programs: Ballet Academic (grade 5 and up), Aspirant (post-secondary), and Teacher Training (post-secondary). Please click here for more information on the 2018/19 audition tour. Single season tickets are now on sale! Single tickets for RWB’s 79th fearless season, a season of time-honored classics and a stunning new creation, went on sale August 28! Tickets start as low as $30 plus taxes and fees, and can be purchased online at www.rwb.org, in person through the RWB Customer Service Office at 380 Graham Avenue or by calling 204-956-2792 or toll free 1-800-667-4792. Groups of ten or more should contact the RWB Customer Service Office for more information on group discounts. In between pirouettes, plies, and being en pointe, Royal Winnipeg Ballet dancers plan unforgettable parties. At 9 PM on September 8, the RWB building at 380 Graham Ave. will open its doors once again for the fourth-annual Barre After Hours. This 18+ event invites the public to a night filled with non-stop entertainment and a chance to connect in person with RWB Company dancers in support of the RWB. Attendees will dance the night away downtown to local favourites The Dirty Catfish Brass Band, enjoy signature cocktails, delicious appetizers and desserts, craft liquor tastings, enter a ballet ticket giveaway, visit Aveda Institute’s pop-up beauty boutique, and much more! Congratulations to Johanne Gingras on her 20th anniversary as Director of the RWB School Professional Division’s Teacher Training Program! The Teacher Training Program (TTP) is a full-time, intensive, three-year post-secondary program that provides aspiring dance teachers with the skills and knowledge required for a career in dance education. Ms. Gingras took over the direction of the Teacher Training Program in 1998; however, she first came to Winnipeg in 1987 to join the School’s Recreational Division as an artistic faculty member. Before long, she was sharing her knowledge and experience with the Professional Division as well; over 30 years later, we are still fortunate to have her as part of the RWB family. Ms. Gingras has tirelessly given her talents to School and, in the process, she has helped to shape the School’s programs and guided hundreds of dancers and dance teachers. We thank Ms. Gingras for her commitment to the School, our students, and the art form. Read Ms. Gingras’ full biography here. Mark your calendars, RWB’s AGM is approaching! The Royal Winnipeg Ballet invites you to our Annual General Meeting on Wednesday, September 26. The meeting will take place at 11 AM at the Royal Winnipeg Ballet, 380 Graham Avenue. Please RSVP by September 24 to cdowney@rwb.org. August 14 marked RWB School Director Arlene Minkhorst’s last day with the organization. Arlene first joined the RWB School faculty in 1979, and was appointed Director of the RWB School in 2004, succeeding founding Director David Moroni C.M., O.M., D.Litt, (h.c.). 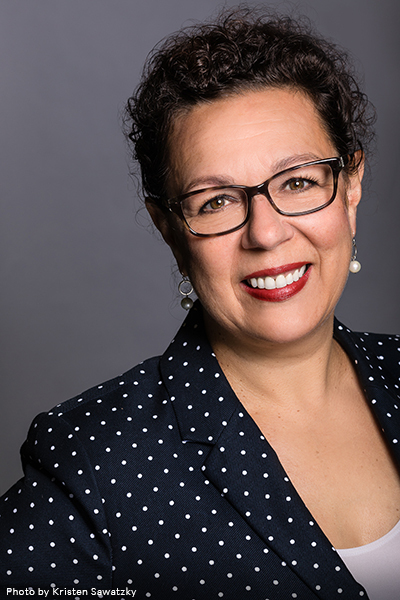 Arlene’s contributions to the RWB are plentiful and significant, such as forging new partnerships with the Louis Riel School Division and the University of Winnipeg Collegiate and strengthening the integrated academics and ballet training in the Professional Division. 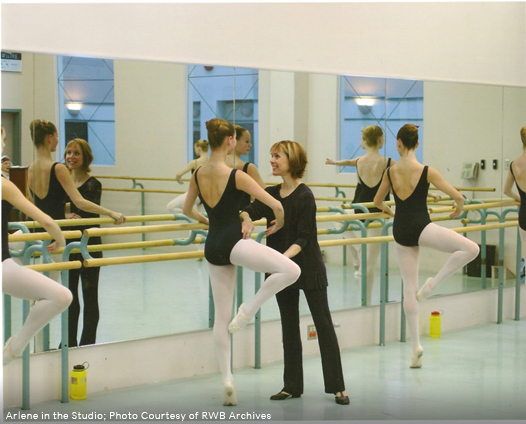 As a dedicated and respected pedagogue in classical ballet training, Arlene developed relationships with dance organizations across Canada and internationally such as the Prix de Lausanne where the RWB is an official partner school. She also ushered in a ground-breaking partnership with Canada’s National Ballet School for Sharing Dance, a national community engagement strategy encouraging Canadians of all ages and abilities to engage with the artform. Just prior to Arlene’s last day, we had the opportunity to sit down to chat about her time at the ballet, memorable moments, and much more. ROYAL WINNIPEG BALLET: What made you decide to go into a career in teaching professional dance? ARLENE MINKHORST: I have always enjoyed teaching. I used to run summer camps when I was 8-10 years old where I taught the 3 and 4-year-old children how to do crafts. I was assisting dance classes when I was 12 years old and always knew I would end up teaching dance in the long run. RWB: What are some of your favourite memoires during your time at the RWB School? AM: Working with David Moroni. He was an inspiration and a mentor – a brilliant, talented artist. The teamwork. David Moroni made sure we supported each other as working as a team was very important to him. We had a working environment where we could say whatever we felt if it was in support of our work. Sometimes we had rip-roaring arguments but they were always resolved to the place where everyone agreed on the conclusion and moved forward in unison. RWB: What has been the most rewarding? AM: Learning. The learning from masters such as David Moroni, Galina Yordanova, Julia Arkos, and Jacqueline Weber. Learning about teaching and the artform of dance, learning about young people and how they comprehend, having the opportunity to watch young people learn about themselves, watching dancers become professionals, watching young teachers develop into accomplished ones, and later, learning about other international schools. RWB: What was the process to build the School to what it is today? AM: The process was step-by-step. We started with laying the foundation with David Moroni, building the first team of teachers, followed by starting the curriculum-which is an ongoing process, developing the Teacher Training Program, building the residence, developing the academic programs and then the Aspirant Program to support the graduates in transition. A general lack of resources was frequently a challenge, along with getting people to understand why the school required what it did, and does, to operate properly. RWB: What are some of your most memorable student success stories? AM: There are many. 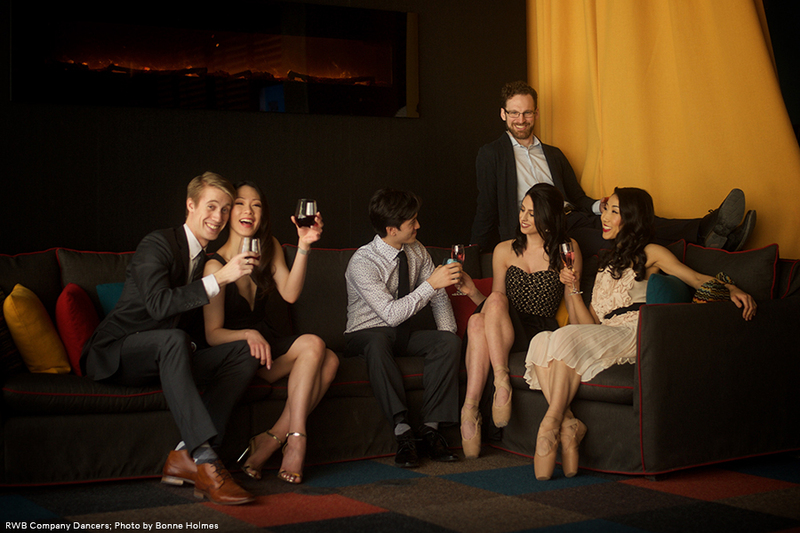 I love seeing a young artist mature when they join the RWB company; a few that come to mind are: Vanessa Lawson, Tara Birtwhistle, Tristan Dobrowney, Yosuke Mino, Sophia Lee, Jo-Ann Sundermeier, Alanna McAdie, and many more. There are also young artists who did not join the RWB company and have very successful careers, such as Jessie Fraser, Zach Rogers, etc. Watching young people become beautiful adults is very special. Of equal importance are the smaller moments, such as when a child has a new understanding, when someone gains confidence they didn’t have before, when a young person faces something about themselves and grows from it, and seeing the tenacity in a young person. For example, when Jo-Ann Sundermeier sustained a serious hip injury in level 3. She and I worked together one-on-one, starting from scratch. I worked with her weekly over the period of several months before she came back to being able to train full time in the studio. It is wonderful to learn that you had an impact on a student even if they didn’t graduate. There was one year when an individual left her ballet training and I didn’t know why, she just never returned. Out of the blue, approx. 8 years later, the student, who had been working in Africa, returned to thank me, saying that she had really enjoyed her years here. It’s hard to know when you have positively impacted a student; it’s wonderful to hear from them if you did. RWB: What are your hopes for the School as it moves forward? AM: I have always believed in the RWB, in the potential of our infrastructure where we have a company, a professional division and a recreational division. When all three are vibrant, healthy, and producing their best work there can be a powerful synergy and strong opportunity to create beautiful art. RWB: What are your plans after the RWB? AM: I have accepted a position as Director of Education for the Tulsa Ballet in Tulsa, Oklahoma. AM: The RWB School artistic team is incredible; the RWB is lucky to have such talent, dedication, and consistency in staffing. The team is a mix of home-grown company retires and Teacher Training Program graduates, to people we have attracted internationally to work and live in Winnipeg.